Woven diamond pattern provides strong, durable and flexible construction. The closely spaced diamond mesh construction gives your fence linear strength and springy texture to protect horses from injury and prevent predators from entering paddocks and pastures. With stainless steel materials, it has alkali resistance, high temperature resistance and weather resistance, does not break, does not sag or roll up at the bottom. Stainless steel chain link meshis used as fencing for high-grade playground and gardens, super highway, railway, airport, tennis sport, residence, etc. 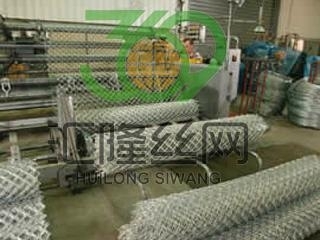 We also supply other materials chain link fence, such as brass chain-wire fence for decoration, chain link curtain for housing.